The Ariel Polarquilt is scaled down to make this signature jacket for boys, featuring the stealthy black studded patch pockets, box quilted outer and a warm fleece lining for winter. 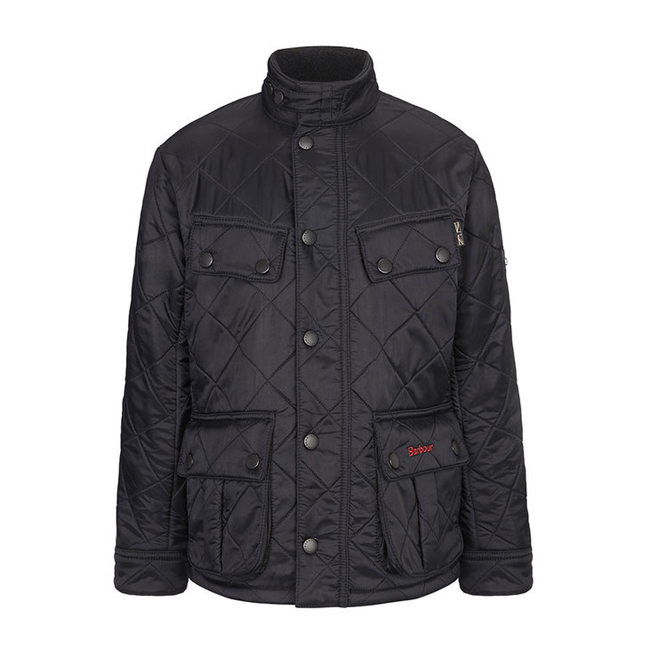 Traditional biker pockets, a zip-and-snap close front and a funnel neck give this jacket the International jacket look, with additional unquilted elbow patches and a cold-weather-ready fleece lining. Perfect for everyday, the Ariel Polarquilt is a great jacket that's versatile and easy to wear. Machine washable for added convenience, the Ariel is available in two colours from the children's International collection. This fleece jacket has kept my body well insulated for this cold winter. The fit is perfect and it allows a comfortable casual attire.